As far as initial public offerings go, the recent Xiaomi IPO didn’t shape up as a smashing success. Even after scaling down its bold fund-raising hopes being entertained earlier this year, it scaled down its plans again seeking only $4.7 billion. Measure this against versus the original figure of $10 billion being batted around a few months ago at the 11th hour. It’s not necessarily an indication of problems with the company. Indeed, this is the same Xiaomi from two weeks ago, two months ago and even two years ago. Rather, the shrinking expectations are a reflection of what appears to be a brewing trade war that could prod economic headwinds. 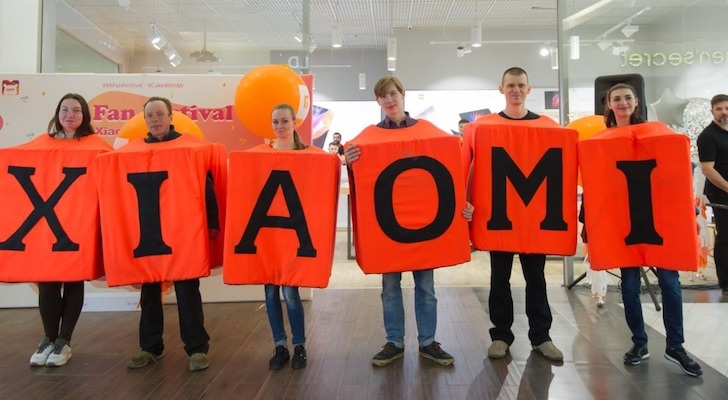 On the other hand, the reason for the tepid interest in the Xiaomi IPO doesn’t really matter. If investors don’t want it, they don’t want it. It’s not a terribly familiar name here in the United States, but in China, Xiaomi is known as a brand name of air purifiers, vacuum cleaners and more. What it’s best known for, however, are low-cost smartphones. It boasted 13% of China’s smartphone market during the first quarter, matching Apple Inc. (NASDAQ:AAPL) in that highly-fragmented market. That’s still less market share than Huawei, Oppo and vivo claim, but things are changing quickly. In the first quarter of 2017, Xiaomi only claimed 8% of China’s market. Its low-cost smartphones are also already the most popular brand in the burgeoning Indian market. Calling it a smartphone company or even a consumer technology company, though, still doesn’t do the company justice. It has, actually. Not only is this the same basic direction the aforementioned Apple is moving (toward digital content), but Alphabet (NASDAQ:GOOG, NASDAQ:GOOGL) and Amazon (NASDAQ:AMZN) are also melding the sales of hardware, apps and services. The point is still well taken though. It all certainly sounds solid on the surface, so why did the Xiaomi IPO, limited to the Hong Kong exchange for now, run into headwinds? As was noted, the unofficial trade war (being fought with tariffs thus far) has many investors uneasy about what’s to come. Not only does a trade-relations spat potentially put the kibosh on the company’s plans to officially enter the U.S. smartphone market next year, it may also prevent Xiaomi from getting its hands on much-needed American-made components and IP. Much of the interest in the company was rooted in making a splashy U.S. interest. Confusion about being listed in China, using the relatively new Chinese Depository Receipt (CDR) path, also contributed to disinterest; that segment of potential investors may be waiting for slightly more accessible China-listed shares. On the other hand, China’s mostly-untested CDR market poses more unknowns than not, and some investors that the mere act of making Xiaomi stock available via a CDR listed in Shanghai could crimp its value. Only time will determine if Chinese depository receipts will work as hoped, sidestepping their potential pitfalls. Still others, like Counterpoint Research, opined that shrinking smartphone profits caused some would-be buyers to balk. More than once Lei has vowed to keep profit margins on smartphones limited to 5%. It’s a business decision. By keeping its smartphones affordable, it can sell more apps and services to that crowd. It’s not a bad strategy either. Amazon uses a similar approach, using hardware like it’s Alexa-powered Echo, tablets and Fire TV sticks to push people towards its digital content and services, as well as toward its e-commerce offerings. Capping smartphone margins at 5%, however, may be unnecessarily altruistic. If you’re wondering where you can watch the stock’s action so far, you can’t… at least not yet. While IPOs done in the United States almost always start trading on a public exchange the same say as those shares are sold directly to investors via underwriters, that’s not quite the timeline the Hong Kong-listed Xiaomi IPO will follow. Though it’s initial investors are indeed now shareholders, the stock itself won’t begin trading until Monday, July 9th. As for listings elsewhere, the Shanghai CDR has been put on hold until further notice, and though there’s been chatter of an American Depository Receipt, that possibility is still not on the proverbial radar. Its price at the time it becomes available will of course dictate the risk/reward scenario at the time, but broadly speaking, yes, this is a company with a compelling future. Its geopolitical problems notwithstanding, it’s a business model that makes sense. Like Google and Amazon, Xiaomi understands that its hardware is a platform that can be used to sell digital goods and services. Apple is getting there too. As is always the case with a newly-listed stock though, the Xiaomi IPO is apt to be followed by plenty of volatility, in both directions. If you can’t wait to get in, just be sure to buckle up. Article printed from InvestorPlace Media, https://investorplace.com/2018/07/xiaomi-ipo-compelling-company/.